The theme this year is Band Together - and with the lawsuit that was filed by the IPCPR, CRA, and CAA (Pipe Tobacco Council works with the CAA or Cigar Association of America) it’s clear the industry has. The lawsuit included many of the egregious items that most likely were aimed more at the vaping industry and pipes and pipe tobacco were lumped in without any forethought. 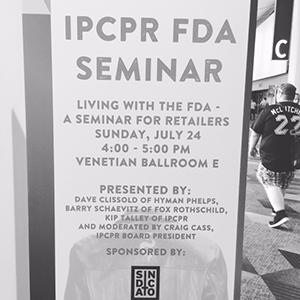 In talking with Craig Cass, President of the IPCPR, he reiterated that the FDA knew nothing about premium cigars and even less about premium pipe tobacco when it threw down the regulations. So he is very hopeful that they will come back and work with us to resolve the issues in the regulation that place regulatory burdens on the pipe industry that, in the scale proposed, couldn’t be regulated. There was a ton of Q&A and this is really where the information shined in my eyes so I’m going to provide you with the questions and answers that occurred and hopefully that will paint a picture of where we are at as of today and keeping in mind this will be fluid. First lets talk about the 3 ways that products that were created after 2007 can be kept on the market. Substantial Equivalence Exemption - this is a short “report” that is sent to the FDA that basically says we have a product that is the same product and a couple additives have been added - so minuscule it’s really the same product. Only 1 of these has been given out in the past 7 years to big tobacco. It’s very unlikely more of these will be given out. Substantial Equivalence (SE) - A much longer report that includes dates, ingredients, and basically says there is another product with similar leafs, similar flavorings that existed prior to 2007 and this product we’re submitting is about the same. There is no current estimate on how much this will cost, but it is suggested that this is the current method almost all cigar and pipe tobacco will be submitted to be sold. 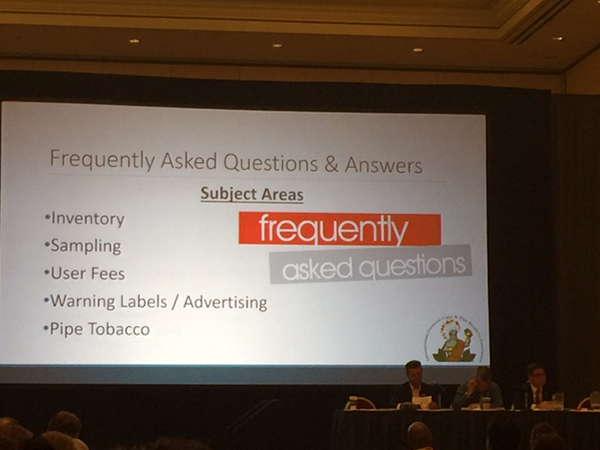 Premarket Tobacco Application (PMTA) - requires litany of additional items that tobacco manufactures would have to meet - types of things you have to identify are public health issues, studies, information you’re aware of - things well beyond whats required for Substantial equivalence. It’s HIGHLY unlikely any of the cigar and pipe tobacco retailers will take this route. With the above stated, I said there were 3 options, really there is only 1. And Let’s also discuss the absurdity of the fact that there are some 4000 SE reports already in front of the cigar and pipe tobacco industry and it’s estimated that the industry when filed will generate an additional 10,000 reports. I have private label blend in my store that is made by the manufacturer will I need to register the blend with the FDA or is that up to the manufacturer. It is up to the manufacturer or the importer its not on the retailer. Can we still do a rewards program and use coupons? Yes, coupons have a cash value. If a cigar has mold, has gone bad, or pipe tobacco, can I replace it with it not being consider a free sample? How will photo ID requirements affect online retailers - will the UPS adult signature option satisfy this? They’ve left this open to the company or retailer - as the retailer is responsible for age verification before shipping through the mail. Follow up to that - is illegal to sell tobacco across state lines? What will user fees be per cigar? Per Ounce of Tobacco? 2-5 cents per cigar, they have no idea for pipe tobacco. 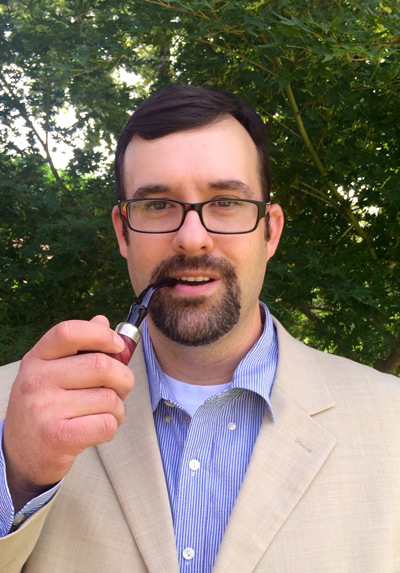 I import cigars or pipe tobacco , who is responsible for the user fees? The company who pays the excise tax - the importer most of the time. If advertising a store location, rather than a particular brand, are warning labels required? No labels required if you’re advertising just the name - but if your cigar lounge is branded - then a warning label may be required - but what if you have private label brand cigar - in that case your store name is also a brand name and requires a warning label. Obligatory joke about Rocky Patel having to get a full body tattoo of a warning label. Must cigar advertisement or warning labels display all six warnings at the same time? No you don’t. they will rotate. This will not go into effect till 2018 warning sign next to cash register must be required for sale of single cigars. Will each individual pipe be required to go through a approval process? Yes. currently. The current FDA view of a pipe each new one must go through the SE process. Clearly the FDA has no idea about the pipe industry. 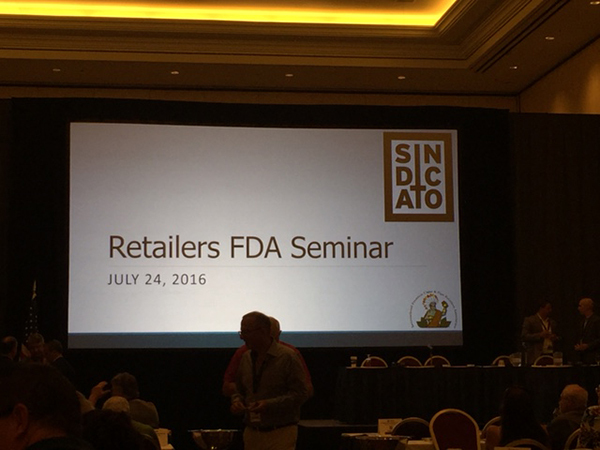 If a shop or retailer imports pipes through Europe who is responsible for the FDA approval process? The importer is responsible for the SE process. Currently. I understand blending is out are we still able to sell tobacco by the ounce without being considered a manufacturer? Still an open question with the FDA because we don’t have an answer. It’s also part of the lawsuit. I’m not blending and I’m not registering as a manufacturer - do we need to put warning label on our 2 oz bag of tobacco and if so by when? We don’t know yet. FDA has not explained and it would be 2 years out. Can retailers build own sample packs? Repackaging cigars would in FDA make you a manufacturer. Currently. Can retired products that were on the market before 2007 be brought back? Why don’t e-cigs or vapes have to pay user fees? The FDA cannot assess on tobacco products that don’t pay excise taxes. How much will it cost to submit an SE report? Cost estimates on cost to manufacture several thousand to several hundred thousand for cost for SE reports. Each shape and size is a different product. Any reason to believe the backlog will force an extension by the FDA? They aren’t known to be extension friendly but as this evolves we’ll have to see what happens. That about wraps it up as far as what news we have so far, which as you can see most of the answers we have we don’t have clarification on and we’re waiting on the FDA to come back with more information as well as a response to the lawsuits that have been filed. Stay tuned for part 2 of IPCPR where I’ll present to you the good news! Maybe I missed it, but who was on the panel answering these questions?